What better way to thank your guests for coming out by hiring a professional entertainer! Certainly a belly dancer is one way to liven things up... and you will be surprised by who jumps off their seat to learn some of those sensual dance moves. (519) 732-9665 for info or link here. 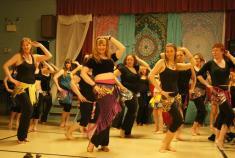 Your Next Girl Party, Bridal Shower or Special Function Includes a Belly Dancer! 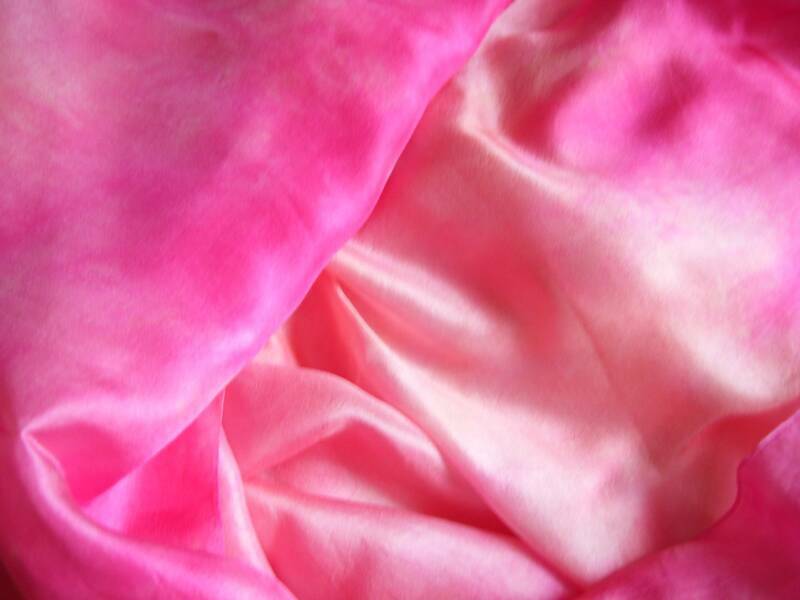 There is nothing like the soft, ethereal flow of silk; especially as an ultimate feminine expression in your dance. Interest in Karima's gorgeous hand dyed silk veils is growing; and they fly off their hangers quickly! Each veil is its own unique creation to add to your elegant bedlah. They are made from real Habotai or China Silk, durable yet lightweight, and available in either rectangle or half-circle shapes. With every colour you can imagine, the perfect veil of your dreams is waiting 4U! Now you can enjoy the many benefits of dance. Mind, Body and Energy become synchronized while you explore the art forms you always wanted to try. At Ancient Moves Studio, you won't become bored as we offer beginner to advanced level classes, recreational to professional. Learn from trained, enthusiastic teachers who will give you exciting dance moves and original choreographies, drawing upon different influences throughout dance culture. Our goal is to keep your dance energy growing, even as you practise on your own! 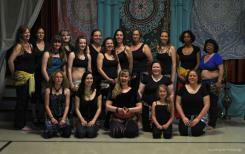 Brantford's Only Belly Dance SPECIALIZED studio with other complimentary art forms: Students benefit most in a setting where they are inspired to grow; escaping into the beauty of a dance community. Contact kshakes080@gmail.com for even more details. At Ancient Moves, you participate in unique programs and achieve the very best within your comfort level. We keep our class attendance at 4 to 9 participants. As a result, you and your dancing are given the proper attention you deserve. Last minute arrivals to the group may be shifted to another time slot if the class has already reached its maximum size. This includes drop ins. Students officially registered are given utmost priority. Official registrations and regular students always get first priority. To register in person, please email kshakes080@gmail.com or call (519) 732-9665 for an appointment. We accept email money transfer and PayPal. We also accept cash or cheque. All with completed registration form. By now, you should know that no one wears full costumes to class. While it is still fun to dress up once in a while, it is important to wear movable, breathable clothing while you exercise. In otherwords, what you usually wear when you workout. It has always been that simple! As students become more advanced, they may opt to "dress the part" and wear a skirt and/or hip scarf with coins (there are coined, chain or tassel hip belts for sale just about anywhere now but you can also get high quality products at the studio). No one is ever forced to wear or buy anything. Belly dance, ATS and Pilates are generally done in bare feet but dance slippers or suede bottom shoes are permitted. You will need low-traction footwear (cross-trainers) for Zumba and perhaps Bollywood if your feet/joints benefit most from extra care. Contact us for details. Play nice and have fun! In addition: 50+ Belly Dance, Join Karimah at the Ancaster Senior Achievement Centre every Tuesday, 12:00 to 1:00.